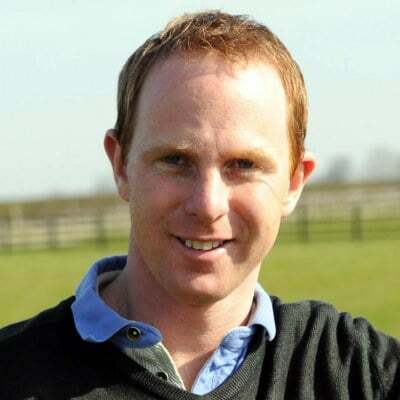 Top trainer David O’Meara joined the Hambleton Racing trainer ranks in 2012. David’s results have been quite remarkable since he saddled his first runner in June 2010. No less than 26 winners were secured during his first six months of holding a full training licence with a first century of winners arriving in 2013, a year in which David went on to amass an impressive 140 winners. During this time David has already enjoyed regular Group race success with wins at meetings such as the Epsom Derby meeting and Royal Ascot. A feature of David’s talent is his ability to improve horses from elsewhere. £75,000 Ascot handicap winner Smarty Socks, who was finishing tailed off at Southwell before coming under David’s guidance, while Great St Wilfrid Handicap winner Pepper Lane improved 40lb for David to advertise the skills of the young Irishman. David has enjoyed great success with his young horses, providing some great winners with cheaply sourced horses for our owners, such as wide-margin York winner Grandorio (£15,000). A very approachable trainer, David continues to go from strength to strength, registering big race wins on a regular basis. Whether it’s Derby Day at Epsom, Royal Ascot, a top Group race or just a regular race closer to home, David has proved time and again he’s extremely capable of providing quite staggering results for Hambleton Racing’s owners. View David O'Meara's available horses. "I’ve been training for Hambleton’s owners for a long time now and we’ve enjoyed some great results together. Hambleton’s professional approach has always impressed me. It’s a privilege to be training for them."